Darlings, picture the scene if you will…the sun is shining brightly overhead, you have a romantic tête-à-tête planned in the park with a devastatingly cute boy, and the last thing on your agenda is to pick up a straight-from-the-oven baguette from the local bakery to share with the hungry birds. The only thing missing is, of course, a fabulous bag to carry it to your beloved in – and now one (1) of you will be taking precisely that home courtesy of Funtote! Oui, oui, lovers! 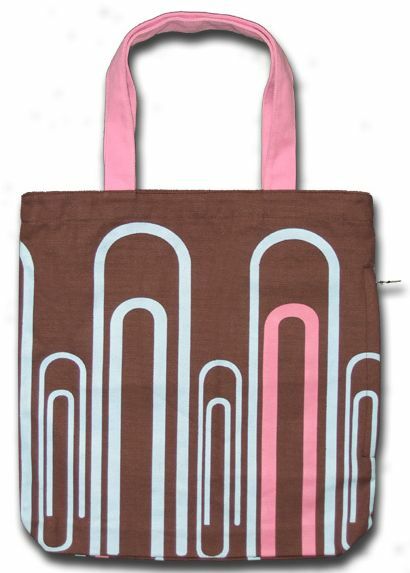 Café Fashionista has teamed up with Funtote - “The unique fun designer canvas tote bags!” - to bring one (1) of you stunning stylistas a chic carryall in the design of YOUR choice. I myself own the pretty in pink Cotton creation, and cannot rave about it enough. Functional, fabulous…and now it – or one like it – can be yours! 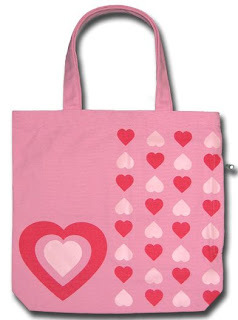 ♥Visit Funtote and select your favorite design. ♥For one (1) entry, leave a comment on this post stating which Funtote design is your favorite between now and Friday, February 18, 2011 at midnight PST. ♥ For two (2) entries, Twitter about this giveaway, and leave a comment on this post stating which Funtote design is your favorite between now and Friday, February 18, 2011 at midnight PST with your Twitter URL. ♥ For three (3) entries, become a follower of Café Fashionista on Blogger/Google Reader/Google Friend Connect/Twitter, and leave a comment on this post stating which Funtote design is your favorite between now and Friday, February 18, 2011 at midnight PST (if you are already a Café Fashionista follower, please say so in your comment). I will randomly pick one (1) name out of a hat (who knows, it could be yours! ), and announce the winner on Saturday, February 19, 2011. Thanks to Funtote for the pictures. Just absolutely LOVE the colors! So exciting!! Keeping my fingers crossed again! I absolutely adore the Mapletree pattern in any color... too cute! These are all so fabulous!!! I'm loving the dragonfly and the bridge tote!! So cute! I love the Leaf one best! I also follow you, of course! My favorite is the leaf tote. I love it's bright colors. I love them all but will have to go with the Swan. this is such a very fab post!!! and great giveaway!!! awww congratulations to who ever will win this tote bag!!! these are so cute! again, i wish i lived in the u.s.! love this competition! all the bags are so fun! Funtote has some great bags. I myself like the Bridge design, but my heart's with the Gerbera design, since those are my favorite flowers. How's your day going so far, E? I really REALLY need a tote badly. I've been carrying around plastic bags & I really need an upgrade! This bag is adorable! I would love to have it!! Its all black and has a beautiful huge flower, its adorable. Love these totes! The silver dragonfly is my favorite for sure! I also love baguettes and kinda want one now...I just thought you should know...hahaha. The bunny tote is my fave! already a follower. tweeting now. Very sweet. & for so many things! I'm loving the Ferris Wheel tote!! It's so unique. wonderful totes. the first one is great for V Day! Such a fun giveaway! My favorite is Under the Sea! I follow you, of course. This is such a cool giveaway, and my favorite is the Zebra one! I'm also a follower on Blogger and Twitter. my favorite bag is the Ferris Wheel One! im already a follower! my fav is the "baggy" in the oculus print! What a great giveaway. So Sweet! Really think these are so fun. These are just adorable for so many things. From book bags to those trips..anywhere. Great giveaway Erika! I like so many but the pink 'cotton' bag is my favorite followed by the paper clips. Hope you're off to a lovely weekend! Love these totes!! My favorite is the maple tree one! This tote is spectacular pink and oh so girly - Eeeee!!! I visited their shop and fell head over heels for the Funtote® Bridge - City Canvas Bag! It is my Brooklyn Bridge - well not technically mines but my city's bridge! What a great giveaway Erika! I just tweeted about your awesome giveaway ;) I told you I'm a hoarder - ha! Oh wow! Those totes are totally (or should I say "totes"?) cute! +3 I'm a GFC follower! I like the Bridge design in rust. they're all fabulous, but I love the apple tote! Ohh, j'adore! I'm torn between the Chocolate Forrest side zip and the Charcoal Baggy! I like the Maple Tree design, and I follow on twitter! These are such fun bags! I love the happy face, the ferris wheel, and the reflection bag! Great giveaway! I like the music one! I'm a new follower, so two entries. Yay! (I'm not on Twitter) Thanks for the opportunity! I love these totes! 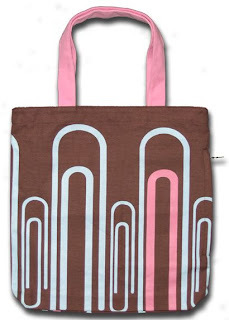 My fav is the music tote. :) I am a new follower. My favorite is the blue tote with the white bunnies. Hawaiian floral, I'm am a follower already. Hi ,everyone! Very nice Blog! Let the luckiest girl win! Greetings from Serbia! I love the Travel Cosmetic Bag, Gerbera Daisy, and Funtote® Ferris Wheel.